Four new educators, one returning educator, and one mentor were named the winners of the Educator Inspiration Awards. The winners were presented with prizes and recognition for leading an outstanding Globaloria integration in their classroom during the academic year 2012-2013. 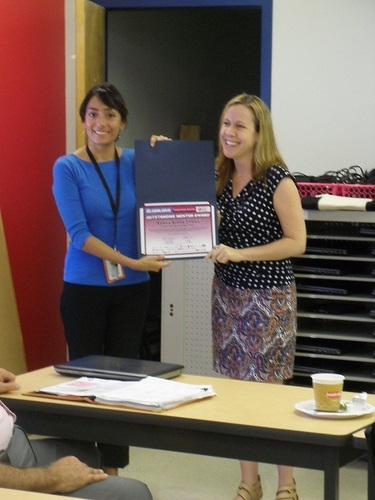 Learn more about the Globaloria Educator Inspiration Awards. Mandy Laurence receiving her award. 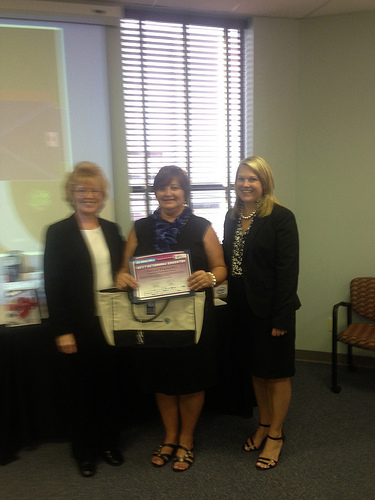 Denise (center) receiving her prize from Diane White, left, and Dr. Monica Beane, right. 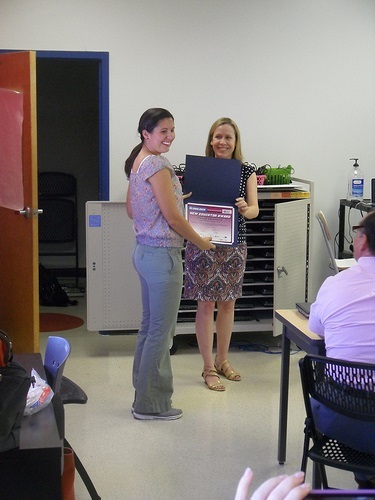 Nyssa Arcos Evans recieving her award. Click here to see the winners from 2011-2012!